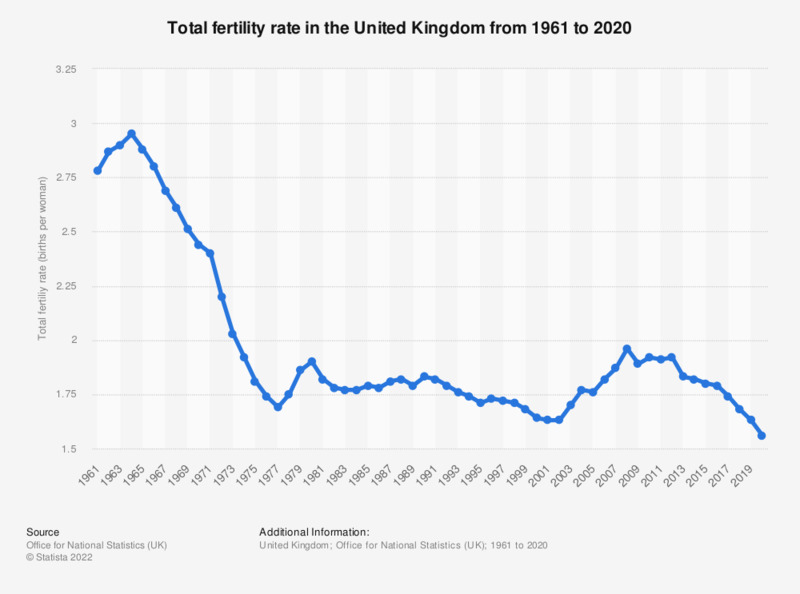 This statistic shows the total fertility rate (TFR) in the United Kingdom from 2000 to 2017. Between 2002 and 2008 the total fertility rate increased from 1.63 to 1.96, a peak for this period, before starting to decline. From 2012 onwards the total fertility rate has shown a year-on-year decrease, reaching 1.74 by 2017, the most recent year in this statistic.